The next morning, Bo decided to talk to Asa about taking on some additional responsibility. He appreciated all of Gem’s help with the house and with Sky, but he knew it was not a sustainable solution. Just as Sky was a couple of days from aging up to Child, Gem and Asa were a couple of days from aging up to Young Adult. He did not want to send his son off into the world without a bit more responsibility. He approached his son in the morning after Gem left for work. He tried to approach him with a smile, so as not to provoke a petulant teenage response. “I am faring well,” replied Asa. Asa agreed and Bo headed to the shower. Asa knew his youngest sister Sky to be a noisy sort of Sim. There was no noise coming from her room, so he assumed she was still asleep. He started on breakfast. Since his mother left them, his father didn’t have the time to make the whole family breakfast in the morning anymore. Asa had learned a few cooking skills. He’d come a long way since the days of having to eat cereal for breakfast. Bo finished his shower and realized Sky was nowhere to be found in the main living space. Asa was still making breakfast, so Bo went to check on his daughter. It was at that moment Bo realized a couple of things. It was probably too late to teach Asa more responsibility; he simply did not have the time. 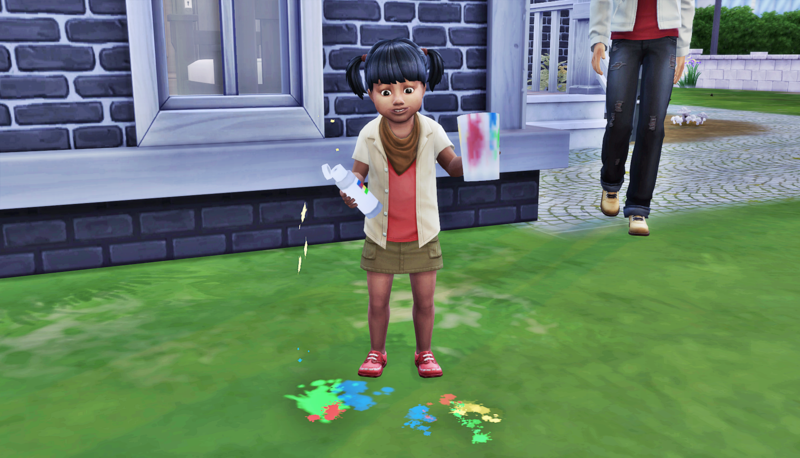 Also, Sixamian toddler clothes did not work the same for Sim toddlers. 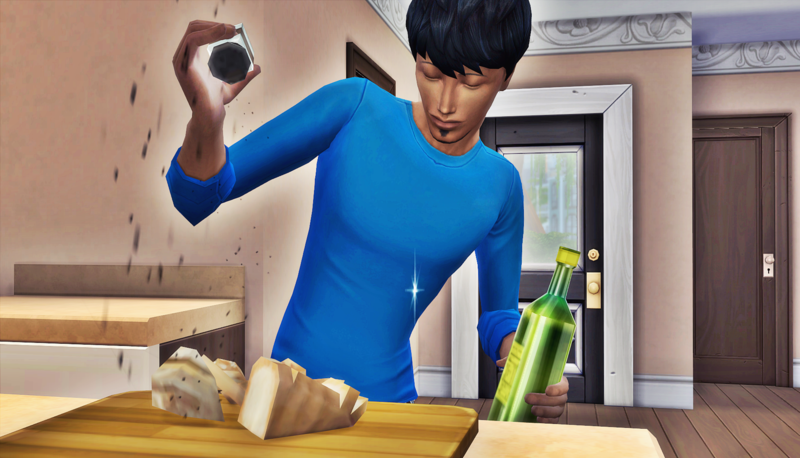 And he really really should not have decided to try and woohoo with Heaven that last time before she moved out. He loved his daughter, and would never wish her away, but this was hard. It is not like they were trying for a baby, but they were not using protection either. He just wanted his offspring to make better choices than he had, and he was out of time to have those influences. While Bo tended to Sky, he missed Gem coming home from work. She quickly changed into her school clothes, scarfed down the eggs and toast her brother made and was out the door again. He did not get to hear her good news, and it was really too bad because he would appreciate knowing at least one of his teenagers was excelling. He decided to keep avoiding the subject if he could. Having the whole family together for a birthday celebration in the next few days would give him more information about how to proceed with his wife. With any luck, work, school, and friends would keep his offspring occupied until then. The conversation between Asa and Bo was…stiff, I guess. Not sure if they actually talk like that, or this only shows how far apart Bo is with his son. Wondering how sky’s birthday will be like, I mean, Heaven should come to it..shouldn’t she? Maybe she will come, maybe she won’t. Heaven is a mystery to me, I can’t get a read at her at all. The Blanks tend to speak in more formal language, and they have since they landed in Newcrest. Asa, who is full into appearing to be a Sim, is the only family member who even uses contractions with consistency. 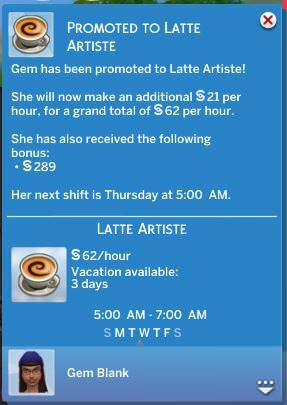 Gem does a bit, and Heaven occasionally. But Bo is the slowest to make the language shift. I think it’s because he was out and about living his best alien life, and finding pretty consistent acceptance for it, so he never saw a need to code switch to gain greater acceptance. But his relationship with his son has never been particularly close. They get along and are fond of each other, but Asa sees Bo as this embarrassing, always dressing and acting weird. 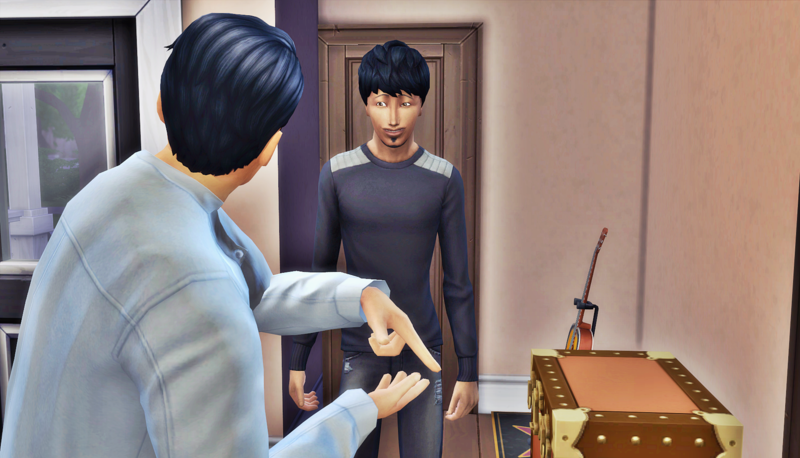 Hard to be a nice normal Sim if your dad is clearly an alien, haha. Maybe he hopes people think he’s adopted, lol. That whole conversation with Asa was so stilted. Yes father. Thank you son. Carry on…. And Bo has no idea where he stands with Heaven. Why does she hold all the cards? Asa learning more responsibility? He wouldn’t be a good member of the Renegades gang if he did something like that, lol. Your bitterness is well earned, so have at it. But I think the birthday party will surprise you. Ah, it’s tough that he’s feeling some regrets . He’s doing a good job! Does Heaven have the hates children trait? No, she does not. 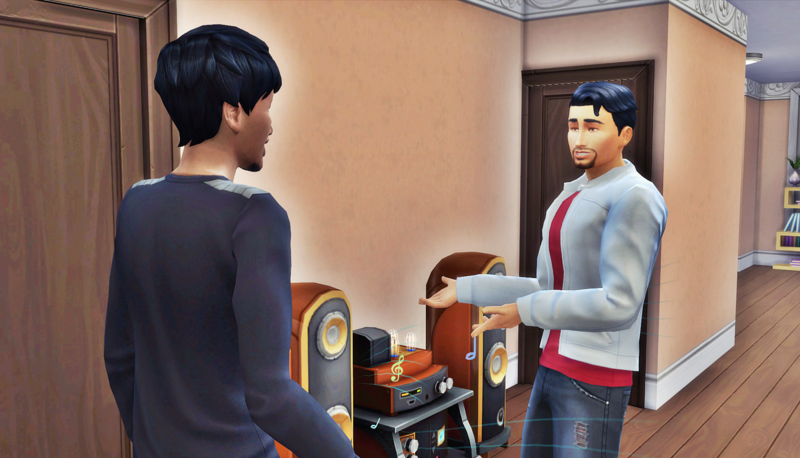 The only Sims in my game right now who have that trait at Gavin’s parents. Heaven’s traits are Kleptomaniac, Creative, Bro. She got Muser from her aspiration (musical genius), and she picked up Always Welcome as a reward. She doesn’t hate her children, or any children. Her thing is more apathy. She was constantly grayed out with boredom when she spent a bunch of time with just her kids. I was just hoping that she would like them once they were all aged up. Guess that’s not the problem. That would’ve been nice, actually. Like, let’s just ride out the apathy until all the offspring are grown. But nope, no such luck. Maybe if they start attending places that always have live music, she’ll find them interesting then…?